The Art of Storytelling: How you can use tips from the Film & Entertainment Industry to develop your brand and tell your story. Join us to learn from influential leaders in the film and entertainment industry on how they curate stories, and how you can use their advice to create your personal and business brand. 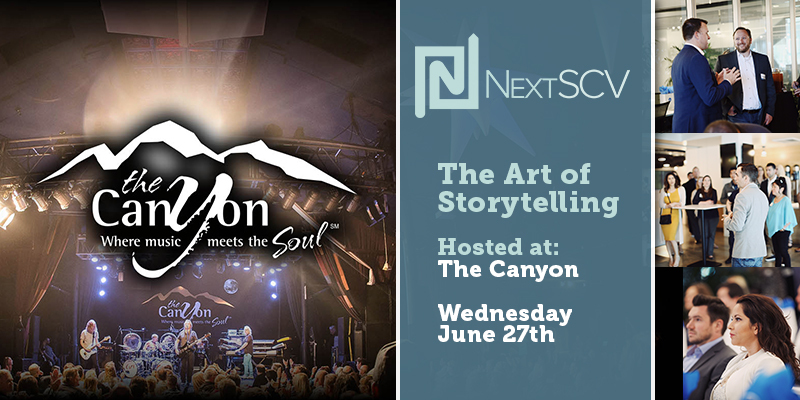 After the discussion there will be a Q&A and mixer featuring drinks and appetizers from The Canyon.